NBA Commissioner Adam Silver said Friday the league is comfortable and satisfied the way the Bulls dealt with the Bobby Portis/Nikola Mirotic incident. Portis received an eight-game suspension for punching Mirotic during a scrimmage. It is one of the longest team suspensions in league history. Mirotic remains out recovering from his injuries. Portis Friday against the Pacers played his second game since returning and scored 20 points. It was the first time in his NBA career he's scored 20 points or more in back to back games. "I think they handled it the right way," Silver said of the Bulls. "The only part of the process I was involved in was deferring to the team to deal with discipline in a situation like that. And my view was that if the basketball operations people at the league thought it was getting proper attention from the team, the league did not need to step in." Silver was in Chicago for the official announcement of the 2020 All-Star game being played in the United Center. After a media conference, Silver met with reporters and discussed several topics, including the Portis situation, the previous hesitancy of the Bulls to embrace All-Star weekend and the lottery reform that goes into effect in 2019. "It (Chicago's interest in hosting the game) surprised me a little bit given Jerry's (Reinsdorf, managing partner) longstanding opposition," said Silver. But Mayor Emanuel was very persuasive. And I, of course, talked to Jerry at the time and he clearly had mellowed a bit over the years. I think especially now with Michael (Reinsdorf) in day-to-day operations being in favor of bringing it here, I think Jerry said, ‘If everyone wants it here, it should be here.'" The NBA recently agreed to lower the odds for the team's with the poorest records to get the top picks starting in 2019. Silver without mentioning the felonious tactics of the Philadelphia 76ers, said action was needed because of the stain on the league of teams coming to believe purposely losing games was in their best interests. "Most importantly, bringing the All-Star Game here to Chicago really benefits the city of Chicago, the economic and cultural impact. The way we're looking at this, this is what's good for the city of Chicago." "Draft lottery reform was important to me because I think our teams were going down a path where even if they didn't think a perpetual rebuild was the right strategy for winning a championship, there seemed to be enormous pressure on them from fans and other people in the basketball community as if that were the only way to build a team," said Silver. "It felt to us at least that the existing odds for the first, second and third picks were almost too tempting. So, we changed the odds. This isn't the first time we've tinkered with the draft lottery. It's a compromise of sorts but I think it will appropriately focus teams on winning, which is first and foremost what they should be doing. I think this will work itself out, that coaches and gms will realize it's a balance and a race to the bottom is not the way to a championship team." Silver did concede most season ticket holders would lose out on attending the game, which always was the Bulls' objection. "It does potentially displace some season ticket holders," Silver acknowledged. It's part of the issue for the home team. We're bringing in people from all over the world. We, of course, need those seats. What's helped since 1988 is because we now have all these other events, whether it be a rookie/sophomore game on Friday night or a celebrity game and huge Jam session in town, it creates other opportunities, frankly, to take care of the season ticket holders. My sense for the season ticket holders, many of them whom I've talked to, I don't think their ultimate deal is, ‘We'd rather not have it all if we can't have our same seats.' I think they still appreciate what it means for the community and team to bring All-Star festivities to Chicago." 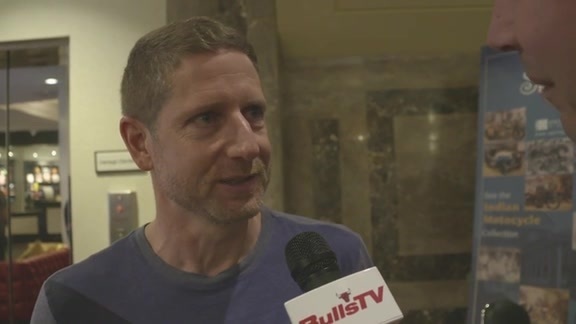 Bulls president Michael Reinsdorf also met in an informal session with media confirmed the team doesn't share in any revenue or profits with an All-Star game, that it becomes the league's event and the league runs it. Michael Reinsdorf said it's still good for Chicago basketball. "Having the All-Star Game brings a lot of excitement to the city of Chicago, a lot of people talking basketball," he said. "When people are talking basketball, they're obviously going to be talking about the Chicago Bulls. I think it can be really helpful. But most importantly, bringing the All-Star Game here to Chicago really benefits the city of Chicago, the economic and cultural impact. The way we're looking at this, this is what's good for the city of Chicago." As for the Bulls now, Michael Reinsdorf said he's confident about the way the Bulls are proceeding. "I'm not normally the spokesperson on basketball stuff," he said. "We're only a few weeks in. Lauri's (Markkanen) playing really well. So far we're happy. When Zach (LaVune) comes back, that's going to be a big indication. Kris (Dunn) just came back from an injury. We have to see, but right now, we're happy. The team is playing really hard. Fred's (Hoiberg) got them playing really hard. It's not going unnoticed. There's certain sports writers in this city that have written positive articles about the way the team is playing right now. Hopefully, the fans will start to take notice. Because we know this isn't necessarily about wins and losses this year, but we do want to make sure the team and the players are trying their hardest to win games and giving their best effort. Because that's kind of the mentality the city of Chicago has and the fans: Work hard and let's see what happens. As far as the rebuild, the Cubs did a great job with their rebuild, the White Sox are in the midst of their rebuild, and I think the fans understand that's kind of the nature of sports."